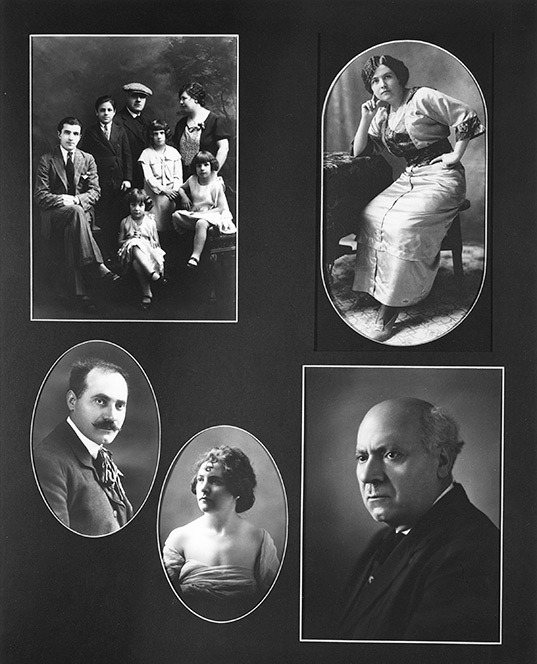 Scrapbook page with five portraits pertaining to the Galardo family, Sudbury, ON, 1920s(?). Emilio Galardo, was an accomplished, talented photographer and owner of Galardo Studio. The married father with three children was 62 years old and a citizen (a naturalized British subject) at the time of his arrest and internment. To support the family, Galardo's son Pasquale worked at the photography studio. His wife rented out rooms in their home. Vollero che in chiamassimo per onore.